Clip Style Hidden Device: Easy to Carry, Fashion Design. Support Memory Card: It supports up to 16GB Micro TF card. High Definition Camera: Take photo of 640*480( JPG ) pixels. 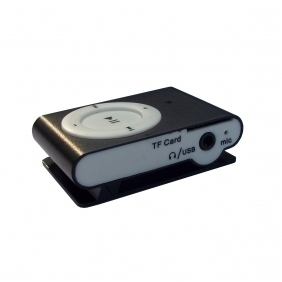 It is not only a mp3 player but also can take videoes for private intention. bathspycamera.com Clip Style MP3 Player + Spy Camera- Description: Clip Style MP3 Player + Spy Camera Highlights Clip Style Hidden Device: Easy to Carry , Fashion Design. Support Memory Card: It supports up to 16GB Micro TF card. High Definition Camera: Take photo of 640*480( JPG ) pixels. CMOS Motion Sensor It is not only a mp3 player but also can take videoes for private intention.